With elections scheduled for 25 July 2018, corruption is a major electioneering issue. However, seeking to end corruption through Democracy, is like seeking a cure through the diseases itself. The case of written-off, non-performing loans, worth billions of rupees is one of many examples that prove Democracy promotes corrupt practices. 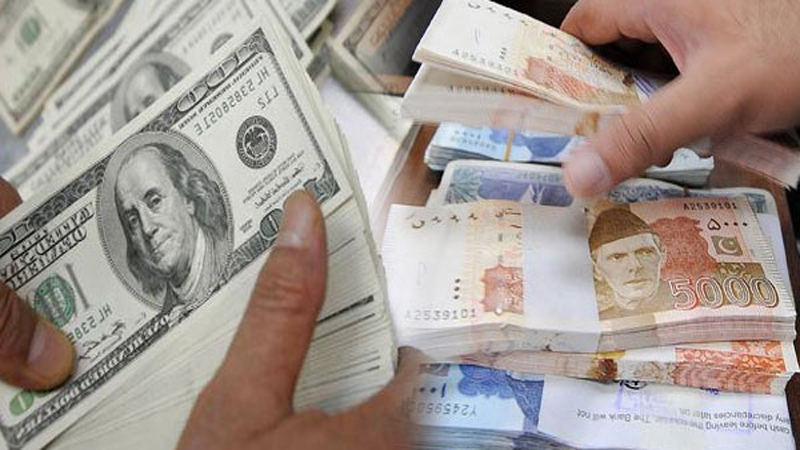 The Supreme Court of Pakistan recently directed 222 companies and firms involved in written-off non-performing loans worth billions of rupees taken from commercial banks to come up with their explanations. The directive was issued by a three-judge bench headed by Chief Justice Mian Saqib Nisar which had taken up suo motu proceedings initiated in 2008 on press reports that the Central Bank had quietly allowed commercial banks to write off non-performing loans under a scheme introduced by then president Pervez Musharraf. Soon after the October 2002 elections, then finance minister Shaukat Aziz and his financial team at the State Bank of Pakistan (SBP) had approved the loan write-off scheme and subsequently the governor of the bank had issued the BPD Circular 29 of 2002 containing new guidelines on write-off of irrecoverable loans. Instead of launching an effective campaign for the recovery of the loans, the SBP offered an incentive scheme to the banks and development finance institutions (DFIs) for waiving the loans of the organisations showing “loss” for three years. Under Democracy, laws have been made to facilitate large corporate companies, relieving them of the responsibility of paying back loans. Laws under Democracy declare that if a company defaults on its financial obligations and company assets are not enough to fulfill all of her financial obligations, then the owners of the company cannot be asked to cover the gap from their personal wealth. Democratic laws treat the company as a separate entity from its owners, as a company is created on the wealth and not on the body of the owners of that wealth. So no matter if the company failed to fulfill its financial obligations, personal wealth which has been made from the profits of the same company, cannot be touched. If this law does not fulfill the interests of the owners, they are granted new legislation to safeguard their financial interests. In this case, instead of closing those companies that defaulted on their loans, the loans were simply written off and they continued to work as if nothing happened. The reality of such default is built on the capitalist stock share company. It allowed the capitalists to acquire private ownership of capital intensive enterprises, such as heavy industry, large scale construction, transport and telecommunications. The funds for such enterprises are immense and beyond that of private individuals and so there is little chance that private assets could cover the liabilities. So, as a “patch” to cover this fault, defaulting and write off became common practice. In contrast to this Islam declares that the company is formed on the body of the owners and thus abolishes the capitalist stock share company, which is a formation on the funds. This will prevent private companies from dominating capital intensive sectors, which will then naturally become the domain of the state, allowing it to more effectively look after the affairs of the people. So in Islam, generally private companies will be smaller than the giant capitalist companies of todays. And in such an Islamic environment, if the assets of the company are not enough to cover financial obligations, the personal wealth of the owners will be used to cover company obligations which are actually an obligation on the owners of the company. Islam considers the issue of debt so seriously that if a person dies without paying back his debts, his wealth shall not be distributed among his heirs until it is deducted. Al-Nasaa’i (4605) narrated that Muhammad ibn Jahsh (may Allaah be pleased with him) said: أَخْبَرَنَا عَلِيُّ بْنُ حُجْرٍ، عَنْ إِسْمَاعِيلَ، قَالَ حَدَّثَنَا الْعَلاَءُ، عَنْ أَبِي كَثِيرٍ، مَوْلَى مُحَمَّدِ بْنِ جَحْشٍ عَنْ مُحَمَّدِ بْنِ جَحْشٍ، قَالَ كُنَّا جُلُوسًا عِنْدَ رَسُولِ اللَّهِ صلى الله عليه وسلم فَرَفَعَ رَأْسَهُ إِلَى السَّمَاءِ ثُمَّ وَضَعَ رَاحَتَهُ عَلَى جَبْهَتِهِ ثُمَّ قَالَ “سُبْحَانَ اللَّهِ مَاذَا نُزِّلَ مِنَ التَّشْدِيدِ”.‏ فَسَكَتْنَا وَفَزِعْنَا فَلَمَّا كَانَ مِنَ الْغَدِ سَأَلْتُهُ يَا رَسُولَ اللَّهِ مَا هَذَا التَّشْدِيدُ الَّذِي نُزِّلَ فَقَالَ “وَالَّذِي نَفْسِي بِيَدِهِ لَوْ أَنَّ رَجُلاً قُتِلَ فِي سَبِيلِ اللَّهِ ثُمَّ أُحْيِيَ ثُمَّ قُتِلَ ثُمَّ أُحْيِيَ ثُمَّ قُتِلَ وَعَلَيْهِ دَيْنٌ مَا دَخَلَ الْجَنَّةَ حَتَّى يُقْضَى عَنْهُ دَيْنُهُ”‏ “We were sitting with the Messenger of Allaah (peace and blessings of Allah be upon him) when he raised his head towards the sky, then he put his palm on his forehead and said: “Subhaan-Allah! What a strict issue has been revealed to me!” We remained silent and were afraid. The following morning I asked him, “O Messenger of Allah, what is this strict issue that has been revealed?” He said, “By the One in Whose hand is my soul, if a man were killed in battle for the sake of Allah, then brought back to life, then killed and brought back to life again, then killed, and he owed a debt, he would not enter Paradise until his debt was paid off.” Clearly, the menace of financial corruption, writing off loans, will never end until Democracy is abolished and replaced by the Khilafah (Caliphate) on the Method of Prophethood.